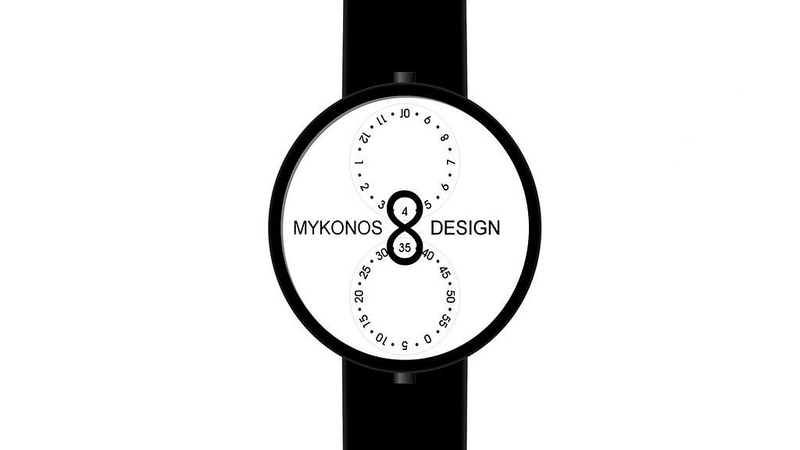 HomeBlogFashion & StyleInfinity Watch by Mykonos Design. 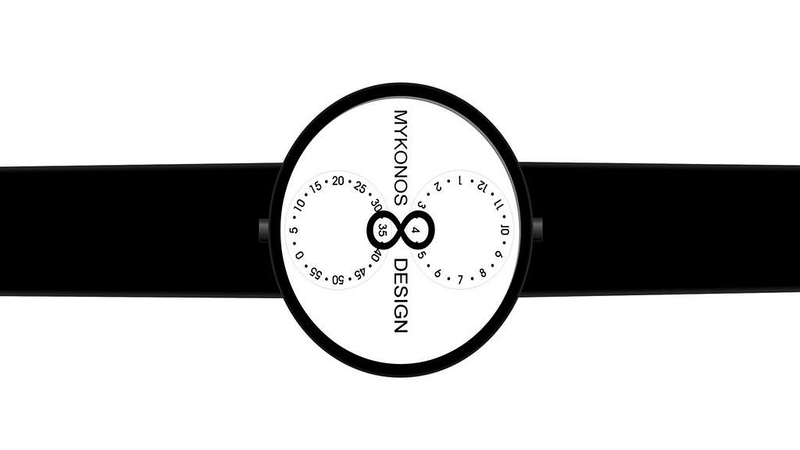 The infinity Watch by Mykonos Design is a cleverly designed minimalist wristwatch inspired by the infinity symbol. 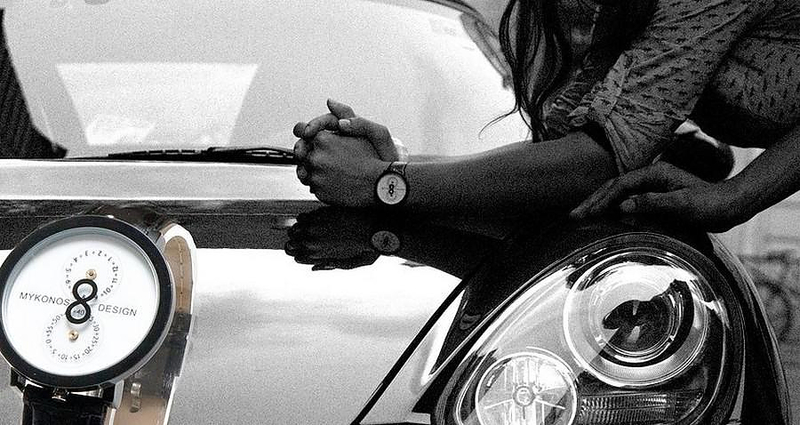 With a vast variety of design wristwatches to choose from, finding an elegant and minimal option is not an easy task. But when you manage to find one, then it instantly strikes out from the rest of the bunch. 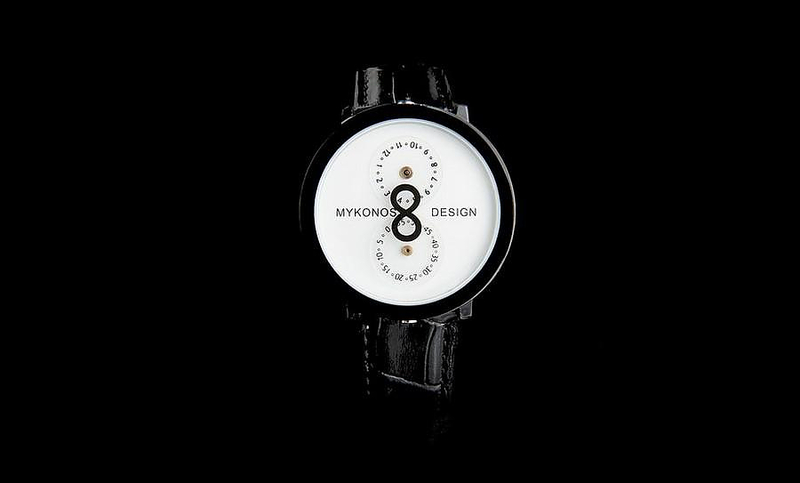 This is exactly the case of the Infinity watch by Mykonos Design. The Infinity wristwatch is elegant and yet simple wrist watch in black and white color combination that can fit to any occasion, from a casual to a semi-formal event. 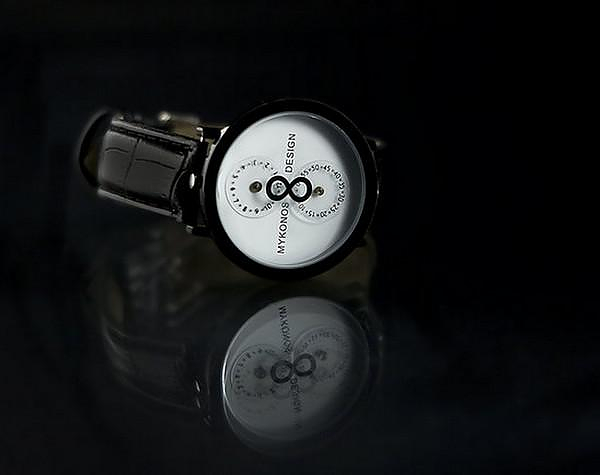 It features a luxurious leather strap but its most exquisite design characteristic is the unique way it indicates time. 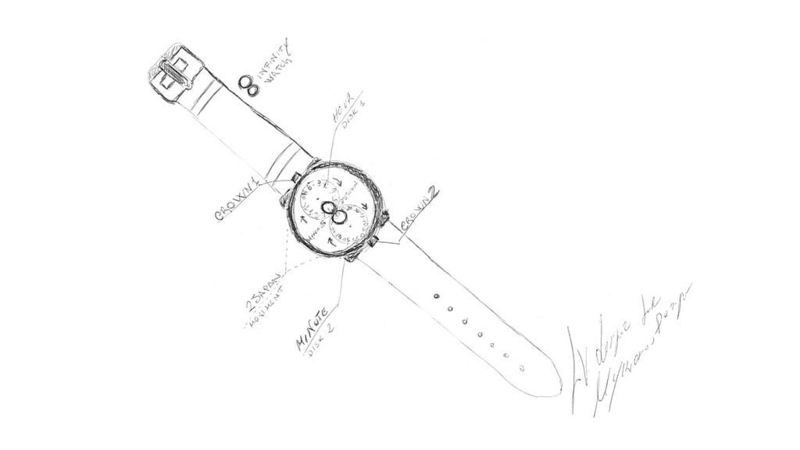 Featuring the infinity symbol right in the middle of the watches’ face it “circles” the hour and minute indication numbers. 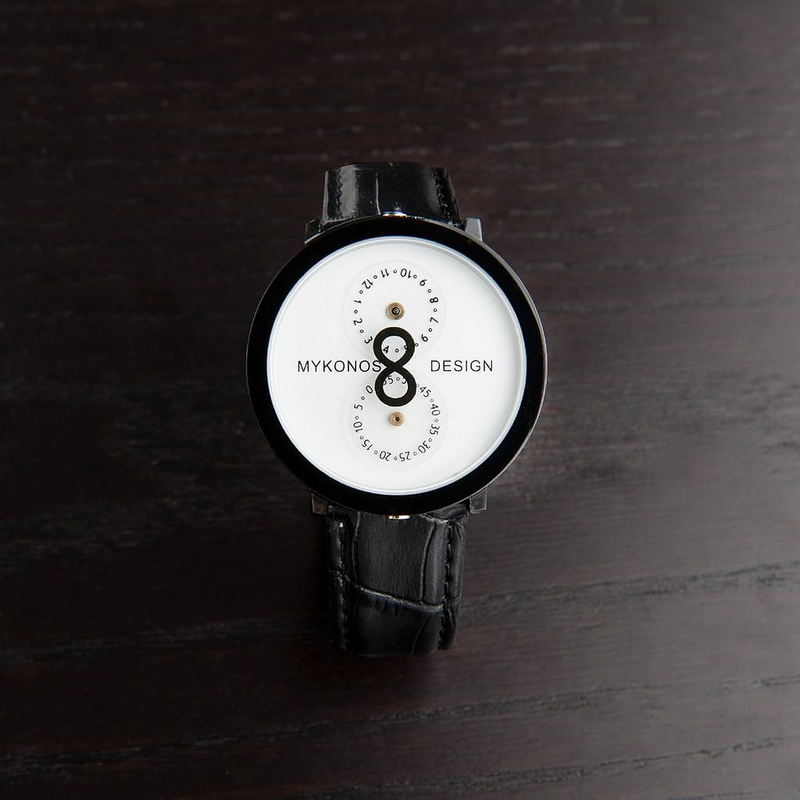 The numbers are designed on two revolving circles with a common touch point right under the infinity symbol. The brand logo is forming a horizontal line right in the central axis of the face to indicate the right orientation of time reading. A clever and graphic way to indicate time, indeed! 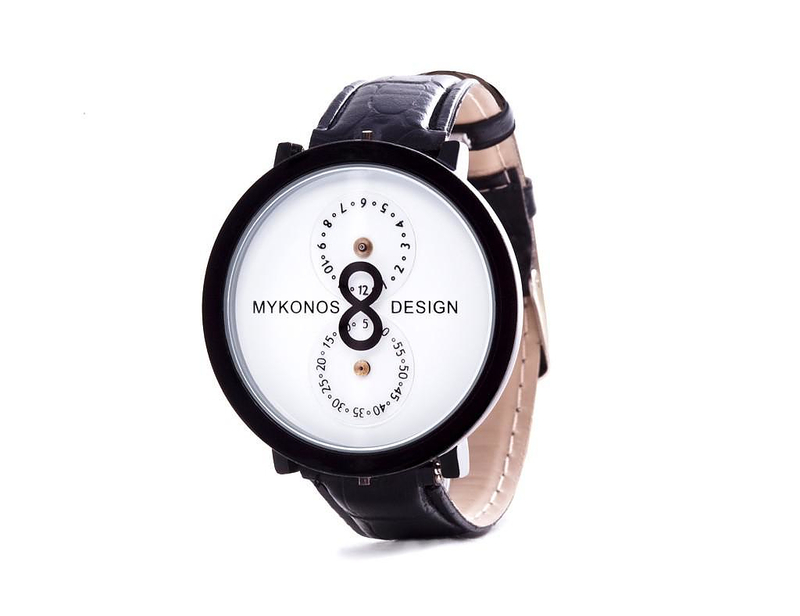 Mykonos Design brand name might be misleading, the Greek island of Mykonos comes to mind, yet it is not a Greek but an Italian fashion watch company. 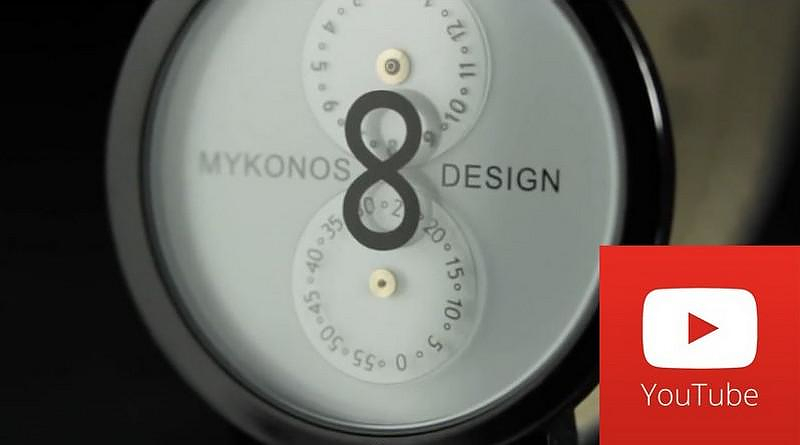 Since 2009 they create high quality watches, entirely constructed in Italy.